Debra’s pancakes from the Dinner on the Grounds cookbook are sure to satisfy. Whip egg whites, and set aside. Stir together baking soda, baking powder, flour, sugar, and salt. Blend in butter, buttermilk, and egg yolks. Fold in the whipped egg whites. Heat cooking oil on griddle. Pour batter, and cook until edges are brown. 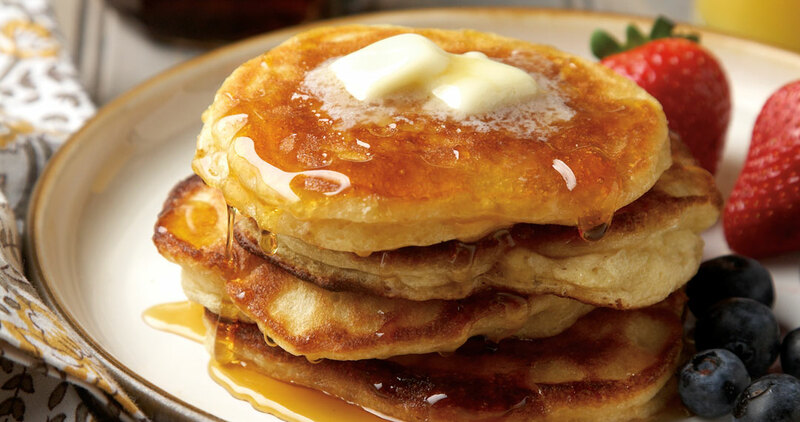 Flip pancakes.